Headquartered in Sidney, Ohio, The Big Four Foundation is a non-profit organization designed to bring assistance to the residents of Shelby County, and surrounding areas, by providing services, financial assistance, and other means; all in an attempt to combine community service and outreach, and providing residents the ability to reach out to each other and help one another. The Big Four Foundation exists to bring Shelby County and surrounding areas together in an effort to provide support for families that have an emergent need by financial giving and services. The Big Four Foundation uses community activities such as golf outings, bowling events, and other fundraisers to provide a method for community members to come together and provide for a cause. The Big Four Foundation works with community leaders, existing programs, local companies, and volunteers to provide for the needs of families affected by emergent situations, such as, but not limited to; health, accident, fire, and hardships. The Big Four Foundation exists to bring Shelby County and surrounding areas together in an effort to provide support for programs and individuals that are in need by financial giving and services. 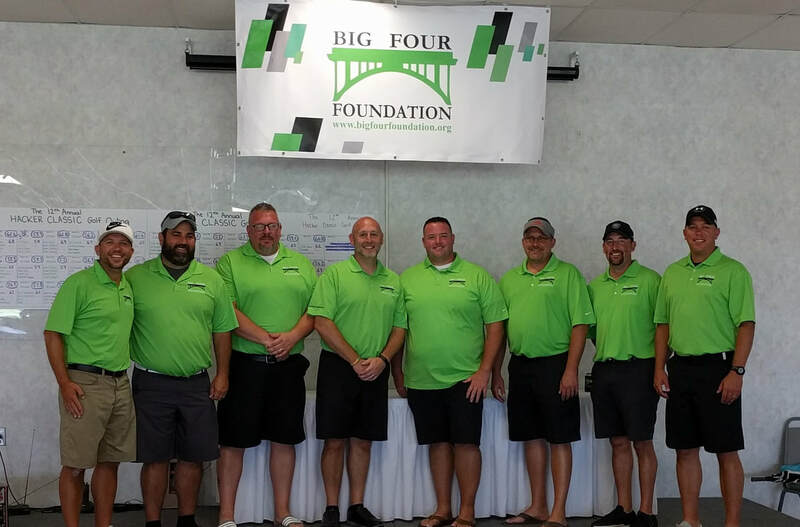 The Big Four Foundation uses community activities such as golf outings, bowling events, and other fund raisers to provide a method for community members to come together and provide for a cause. The Big Four Foundation works with community leaders and existing programs to provide financial assistance in areas in which the community is in need.